Unposted. 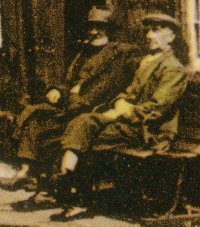 Who are the two old men sat outside the Almshouse? Taken 2008 by Keith Repton. 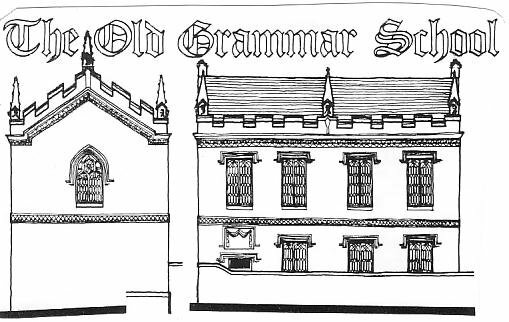 Gell's school. and we are getting on well. The weather is allright and fine. "Miss P(olly) Jennings, Regent St, Walsall, Staffs". From "Mary"
Taken 2008 by Keith Repton. 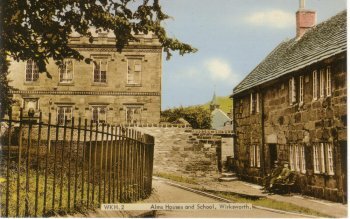 Almshouse. 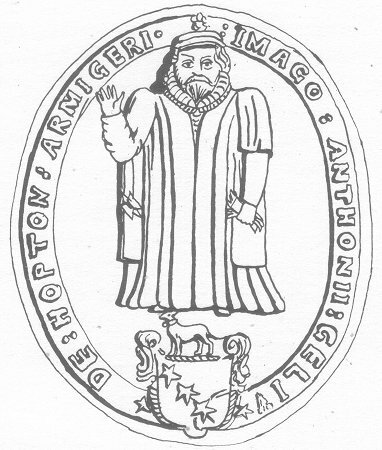 "The image of Anthony GELL of Hopton, knight"
Anthony GELL reader and Bencher of the Inner Temple, and of Hopton 1581. 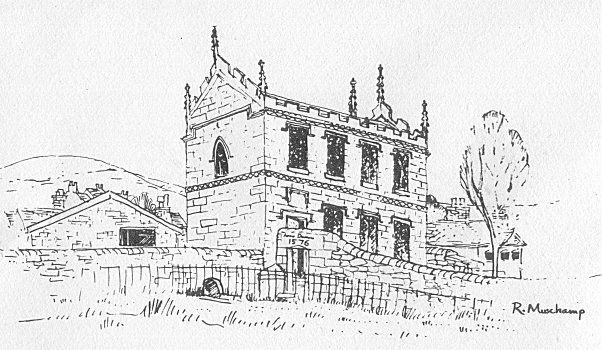 His will dated 29th February 1579. He was knighted by Elizabeth 1. 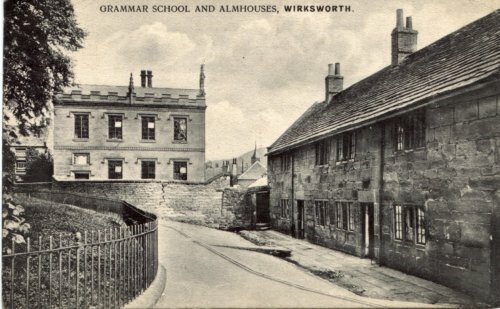 Grammar School and Almshouse in Wirksworth. 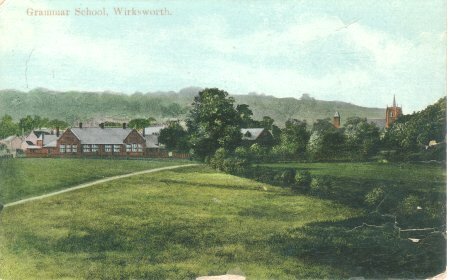 her lands for a Grammar School in Wirksworth, should one ever be built. 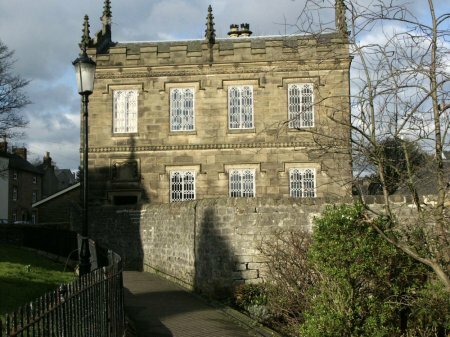 as the Governer's minutes did not start until the 1840's. 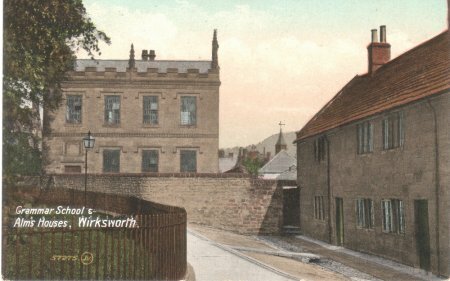 building stands in the middle of Wirksworth near the Church. it becoming a mixed school amongst other things. 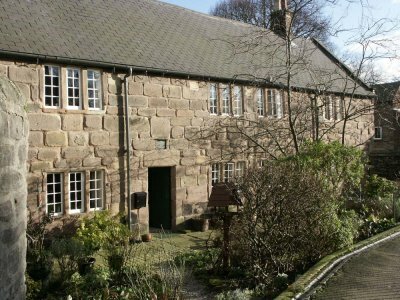 still used for domestic science and woodwork.